WE'RE HAPPY TO BRING BACK OUR SKATEBOARD ANGEL PROGRAM AGAIN THIS HOLIDAY SEASON. 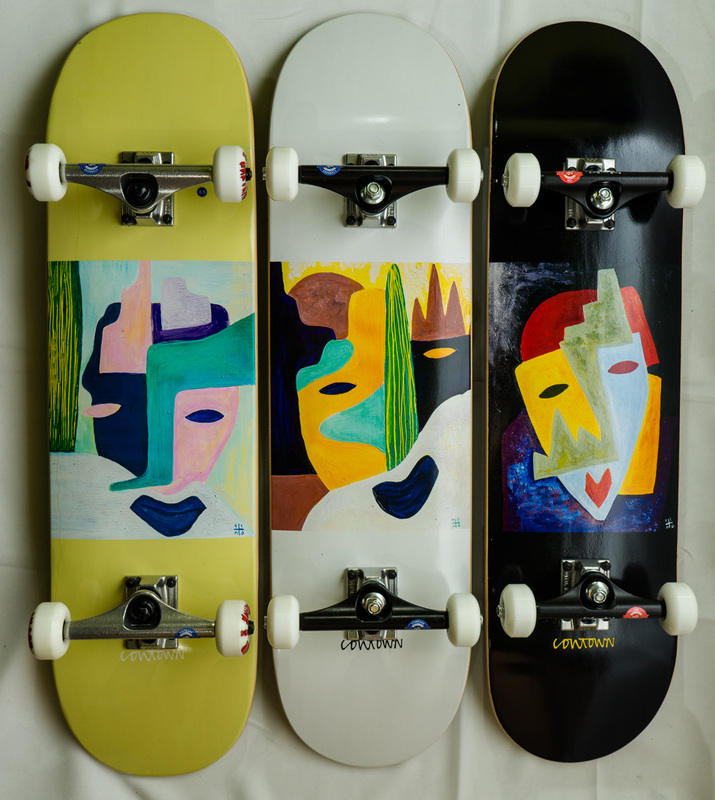 OUR GOAL IS TO GIVE AWAY AT LEAST 250 COMPLETE SKATEBOARDS TO KIDS IN UNDERSERVED COMMUNITIES. BECOMING A SKATEBOARD ANGEL GIVES YOU THE OPPORTUNITY TO GIFT A QUALITY NEW COMPLETE, AT A DRASTICALLY DISCOUNTED PRICE, TO ONE OF THESE AMAZING KIDS. COWTOWN IS PROUD TO TEAM UP WITH SKATE AFTER SCHOOL AS THE BENEFICIARY OF THE FIRST 250 COMPLETES. 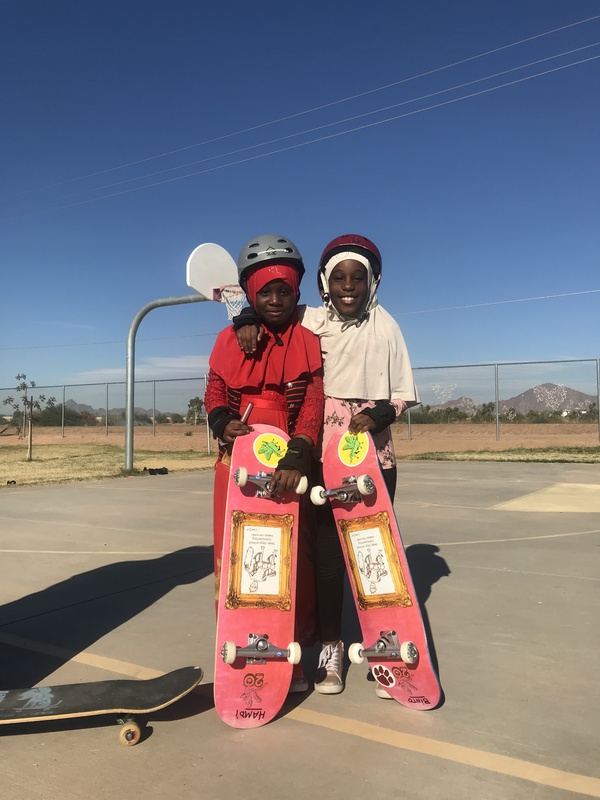 SKATE AFTER SCHOOL IS A LOCAL NON-PROFIT PROVIDING FREE AFTER-SCHOOL PROGRAMS TO UNDERSERVED YOUTH THROUGHOUT THE VALLEY! SAS IS CURRENTLY WORKING WITH 240+ CHILDREN ACROSS EIGHT ELEMENTARY SCHOOLS USING DONATED EQUIPMENT. THE GOAL IS FOR EVERY STUDENT IN THEIR AWESOME PROGRAM TO TAKE HOME A COMPLETE AS THEIR OWN BEFORE THE HOLIDAY BREAK. AFTER THAT, WE WILL DIRECT DONATIONS TO CHILDREN AT LOCAL COMMUNITY CENTERS, FOSTER HOMES, AND BOYS AND GIRLS CLUBS. THANK YOU FOR HELPING TO MAKE IT HAPPEN BY GIVING THE GIFT OF SKATEBOARDING. WHEN YOU PURCHASE A SKATEBOARD ANGEL COMPLETE ONLINE WE WILL EMAIL YOU A PICTURE OF THE SKATEBOARD ANGEL CARD FILLED OUT BY THE CHILD RECEIVING THE COMPLETE YOU PURCHASED. WE WILL ALSO EMAIL YOU A COPY OF YOUR "I'M A SKATEBOARD ANGEL" CARD THAT WILL BE HUNG UP IN OUR TEMPE SHOP FOR ALL TO SEE!